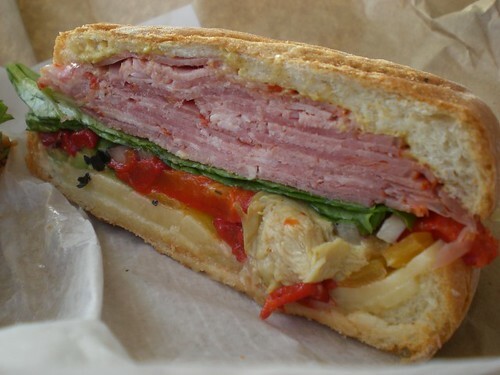 I was going through all my pictures of sandwiches for the Top Ten Sandwiches of 2010 post I am planning when I realized that I hadn't posted my La Grotta sandwich! Mistake! 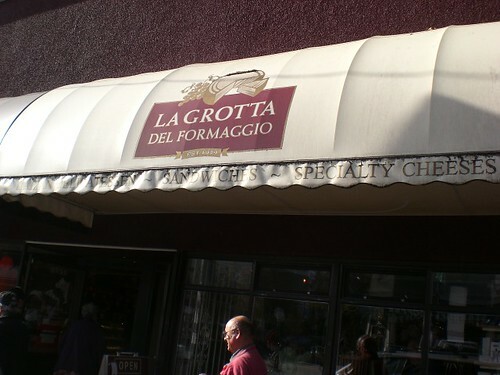 You can't have a sandwich roundup without La Grotta. So here is a late post about a summer sandwich. Enjoy the pictures of sunshine! I lived on Commercial Drive for over 10 years so La Grotta was a regular haunt for me. Since moving out to NOBU, it has become more of a treat. I had some errands to run on the Drive in the summer so I thought it would be a perfect time to stop for a sandwich and some cheese. If you have been to La Grotta than you know how busy this place is on a summer's day. They usually have about 4-5 employees working the sandwich bar. I like that you are able to order a customized sandwich. On this day I ordered a hot capicolla bun with mayo, dijon, green olives, artichokes, roasted pepper, emmental cheese- grilled. Perfect sandwich, because I chose it all! 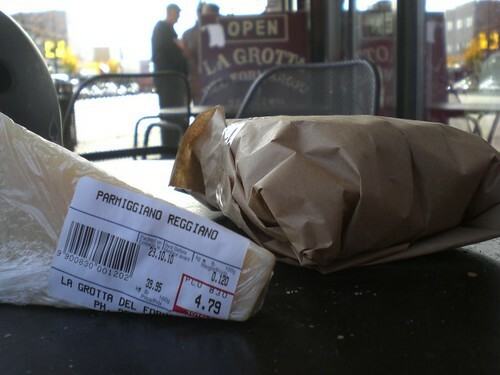 The sandwich was grilled, wrapped in brown paper and then I picked up some awesomely priced parmiggiano reggiano and was lucky enough to get one of 2 tables outside to eat the sandwich in the sunshine. They only offer 2 outside tables as they are a grocery/deli. 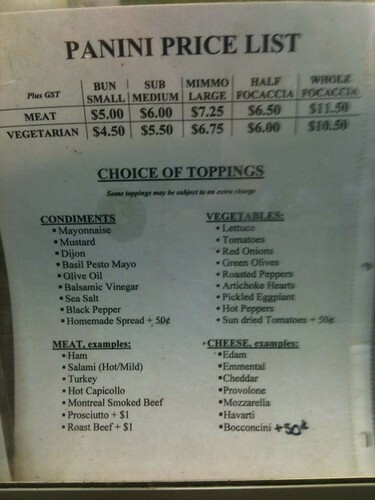 I love La Grotta because they don't skimp on any of the toppings. Look at the amount of meat that they stuff in to one sandwich! They sell so many sandwiches a day that you know the ingredients are fresh. They don't have a chance to sit around. 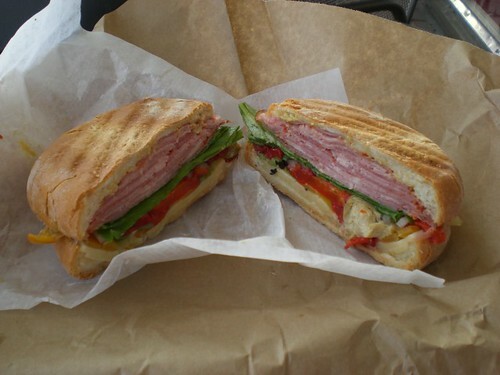 A perfect sandwich for a perfect summer day on the Drive. This was also a momentous sandwich for me as I realized that no matter how much I love my little house in Burnaby, the Drive is where I am meant to be. Thank you sandwich, for that life decision. I had a sandwich from here yesterday, yum! Romer's Burger Bar- Best Birthday Bash. Commune Cafe- Blog Crossover Edition!